Skycastle Construction (Est. 2001) is a green design/build company based in Boulder, Colorado. Known for design excellence, quality construction, friendly, responsive service, and business integrity, our customers experience an unmatched expertise in sustainable design! 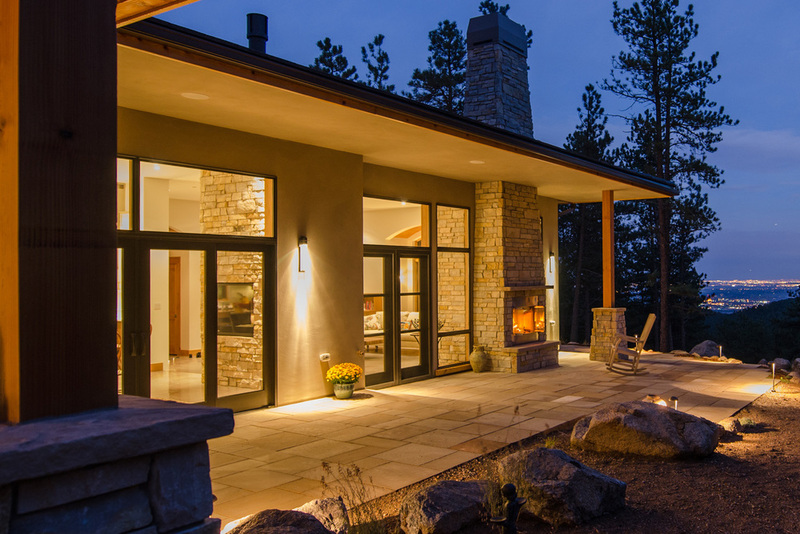 Our work is primarily in Boulder County and is focused on creating extraordinary custom green homes. Skycastle has unequaled expertise in building green custom homes in Boulder. We understand all the rules and have strong, positive relationships with Building Department officials, and using many of the same consultants and engineers for over a decade has allowed us to develop a team with thorough experience in meeting local conditions and codes. Skycastle treats its subcontractors and vendors fairly and has an excellent reputation in the building community, which means that you get great prices and the best quality work from your entire construction team. Lastly, we have developed a process for working with our clients (many of whom are not local during the design and construction process) that makes the sometimes daunting and uncertain process of building a custom project as predictable, safe, transparent and enjoyable as possible. As you review our diverse portfolio, we hope you will recognize the consistent traits of beauty, simplicity, creativity, harmony, and integrity that we use to guide every project. We look forward to helping you design and build your dreams! It was a great experience. In fact, if we were to build a new house, we would definitely choose Rodwin Architecture + Skycastle Construction again for at least 3 reasons. First, Scott Rodwin worked tirelessly to dial in the design of our house while being mindful of costs and budgets. Second, his design/build team complemented his strengths, they were responsive, and were a pleasure to deal with. Third, the result was brilliant. We are very happy with how easy to work with, organized and efficient everyone at Rodwin Architecture + Skycastle Construction has been. We wanted to build an ecologically regenerative home, and the green values of the firm have matched ours very well. Their knowledge and creativity has allowed us to surpass our goals. Sign up with your email address to receive news and updates about Skycastle Construction.